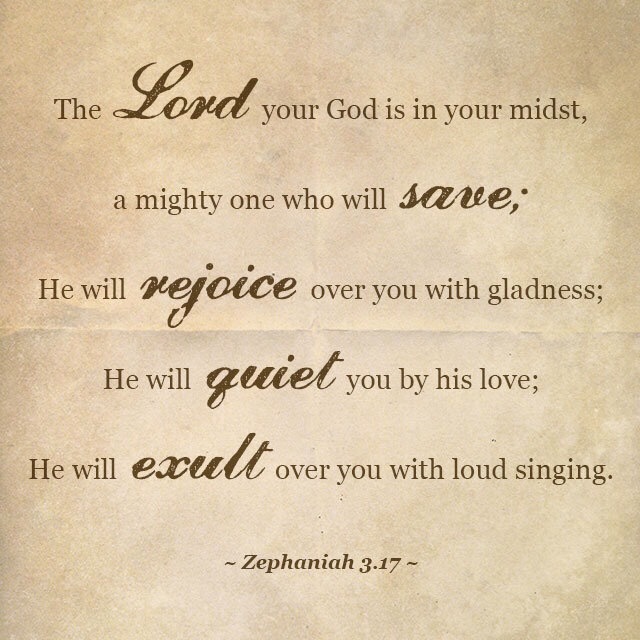 Tonight in my bible study we finished the book of Zephaniah and this verse stuck out to me. This is part of the only prophecy that hasn’t come to pass yet and envolves us. It speaks of when revelation comes and speaks of the utter joy of the Lord that we are forever in His possession and in a place where we will not sin again. I don’t know about but that just leaves me so humbled. That the Lord would sing for you and me, that leaves me overwhelmed and I hope you see this and know that Hod wants this for you. He wants you to be with Him forever and to rejoice forever after judgement.